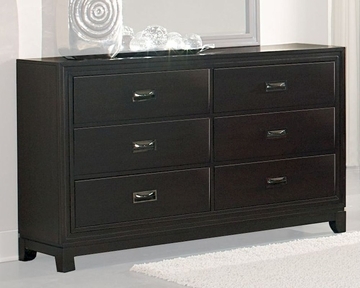 With a small nod to traditional accent, the Homelegance Dresser Lindley EL2149-5Lindley Collection is a sophisticated addition to your contemporary home. The black bi-cast vinyl upholstered headboard is framed with a gorgeous nail-head accent that will stand out in your bedroom. 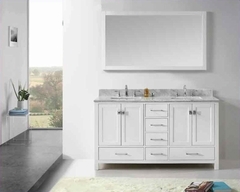 The graphite finished hardware that punctuates each drawer front takes the traditional look of campaign design and puts a thoroughly modern spin on it. Functioning footboard storage allows for the extra space that you need. A rich ebony finish further enhances the look of the collection.